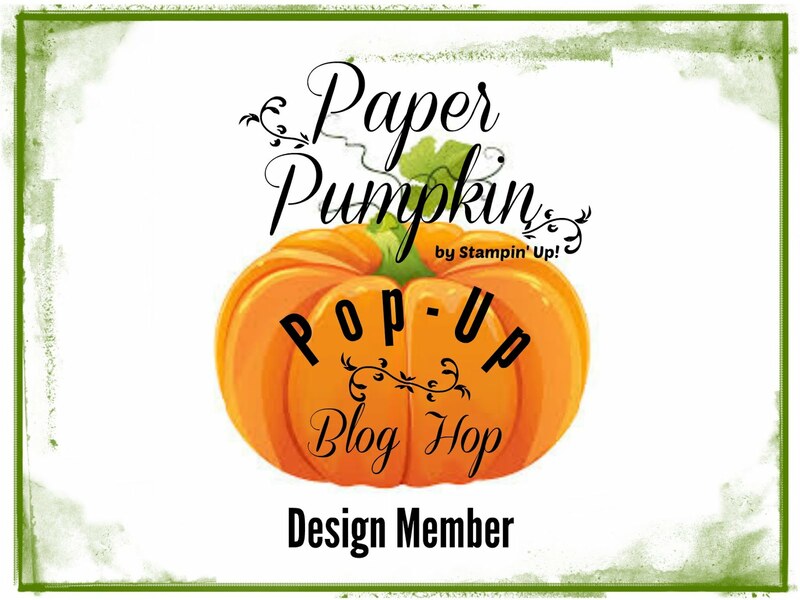 Welcome to a surprise hop with the Global Stampin’ Friends group! 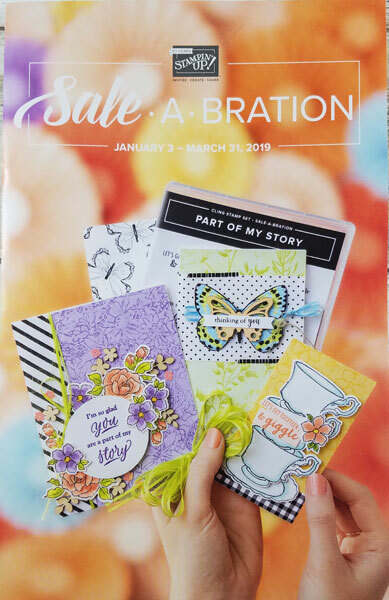 Because we are all so excited about the fun new products we have been able to play with we are having an Extraordinary Blog Hop for you today! 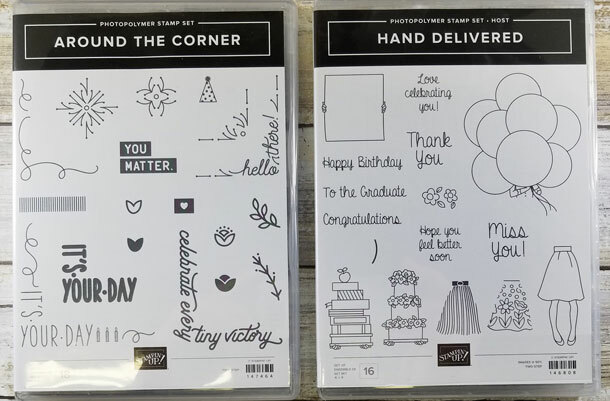 I am excited to share some designs with the upcoming stamp sets (available June 1, 2018), Around The Corner and the Hand Delivered (Hostess) stamp sets. Both of my projects were stamped using the Awesome new Stamparatus, which will also be available in the upcoming catalog. 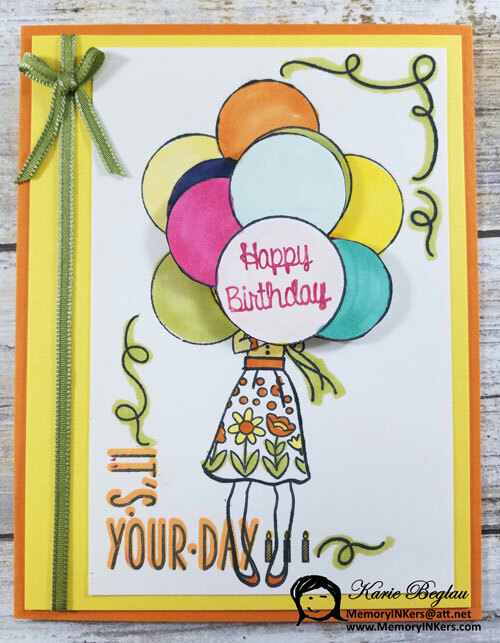 This card uses a Paper Pumpkin card base, a new In Color, Pineapple Punch mat behind Whisper White. The 1/8th” Sheer Ribbon in Old Olive will be will carrying over into the new catalog. 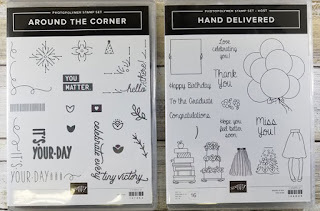 I stamped all the images in Memento Ink before coloring them with Stampin’ Blends, except for the highlighting behind the words - It’s Your Day. That is actually a stamp in the set (see above) that is made for this purpose. The cute girl is from the Hand Delivered set. I stamped the balloons twice, so I could cut a few of them out of the 2nd image and place over the others using Stampin’ Dimensionals. The words on the balloon, Happy Birthday, was inked with the new Lovely Lipstick Stampin’ Write Marker. 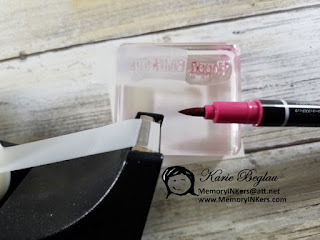 I inked and stamped the word Birthday then, after cleaning the stamp, I inked the word Happy. Just to ensure there would be a ‘ghost’ image of the first word I covered Birthday with tape. This stops any ink residue from ruining my project. I recently shared the above card in a sneak peak video. 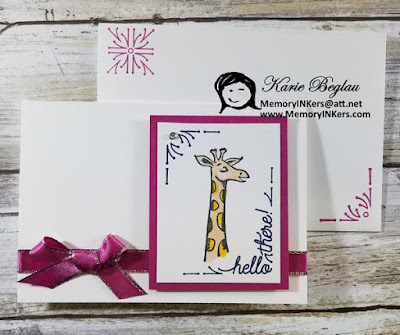 This card uses the Around The Corner stamp set as well as the Animal Outing stamp set. Whisper White Note Cards & Envelopes were used for the base and envelope of course. The mat & ribbon are in Berry Burst (yes, that beautiful metallic-edge ribbon is going to remain available!) 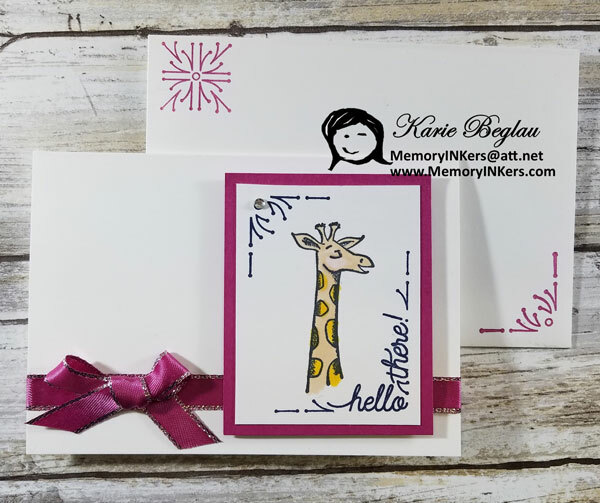 The giraffe was colored with Stampin’ Blends. 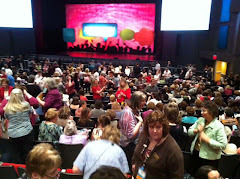 I hope you enjoyed these Sneak Peak ideas. The new products will be available for purchase on June 1st. Those currently available are listed below the hop list. Let’s see what the next hopper has to share with us . . .
of the New Stampin' Up! Catalog Today! 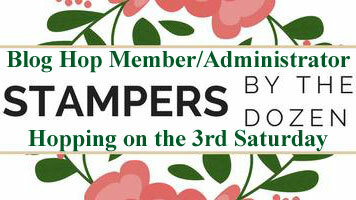 PS – come back tomorrow for another fun hop with the Stampers By The Dozen group. Our theme will be Bundles. I’ll be sharing one of my favorites that will be retired. 5. Karie Beglau You are here!